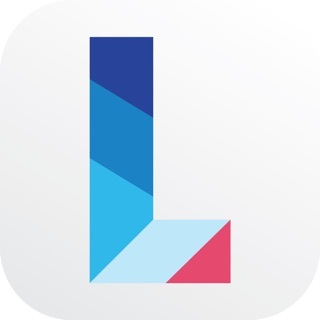 Forbes - "10 Promising Podcast Apps to Watch"
Huffington Post - "Must-Have Apps To Make Family Travel A Breeze This Year"
Techcrunch - "Leela Kids opens up the world of podcasts to children." 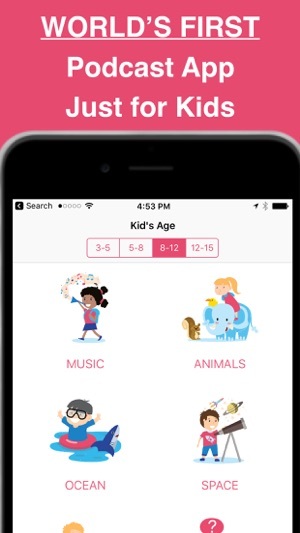 New Learning Times - "A Podcast App Just For Kids"
Lifehacker (Australia) - "Kids Can Explore the World of Podcasts With This New App ." CNET - "Yet Another App I Wish I'd Had When My Kids Were Little." KOCPC (Taiwan) - "Leela Kids is not only rich but interesting." Parent - "May be my kids will latch on to it and wean off Netflix." Are you worried about screen time for your kids? Well, no more. Leela Kids offers the best stories for your kids based on their age and topic of interest. Just click & listen! As easy as that! Leela Kids has kid-safe content and no-brainer for parents/kids to use at home or while on road trips. 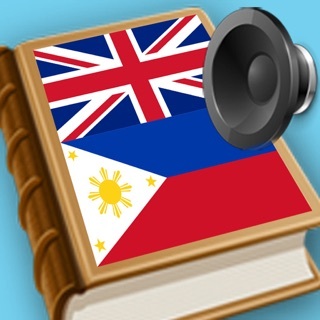 • Categories are based on age groups - Bedtime Stories, Stories, Science, Maths, Physics, Anatomy, Philosophy, Curious, Dinosaurs, Animals, Ocean, Space, History, Music, Tech & Gadgets, TED, Harry Potter etc. 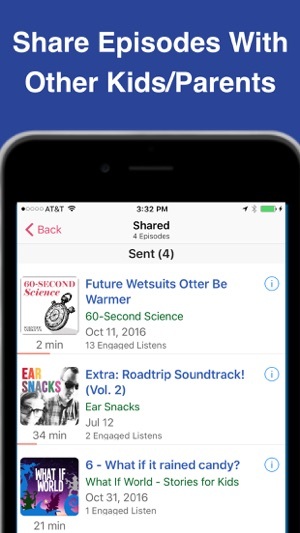 • Create a playlist of your favorite episodes. • Subscribe to your favorite shows. Subscriptions are auto-renewable (monthly basis) unless auto-renew is turned off 24 hours before the end of the current period. Subscription will be charged to your iTunes Account until cancelled. Manage subscriptions including cancel or auto-renew on/off in iTunes Account Settings after purchase. Once purchased, refunds will not be provided for the current subscription period. • Introducing in-app subscription. Basic version includes in-app visual ads along with limits on certain features. Premium monthly subscription removes in-app visual ads along with unlimited Downloads, Playlist Items & Subscribed shows. Please consider taking off the Mac and Mia ads, especially the ones which target kids/clothes shame them: “do other kids dress better than you? Tell your parents to order Mac and Mia!” Such a horrible message for youngsters who already feel so much pressure to fit in and look a certain way. Excited about the app itself, the education and entertainment value is exactly what I was looking for, but the Mac and Mia ads need to be reviewed and edited to positive content. Dear user, You are absolutely right. That message is indeed in very bad taste. That said, please note that we do not control the ads in a podcast (they are added by the podcaster). If you let us know which podcast you heard that ad on, we will resolve the situation at our end. Separately, we are also contemplating to create a user subscription that will offer ad-free content to kids and we will share revenue with podcasters (they also need to be compensated for their work). If you have any thoughts, please write to us at support@leelalabs.com. Once again, thank you letting us know about this issue. 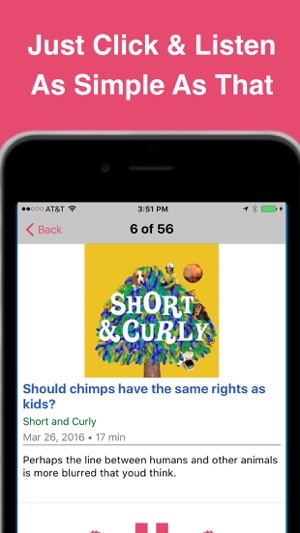 I love that this app allows kids to choose their own content based on the topics that they enjoy. 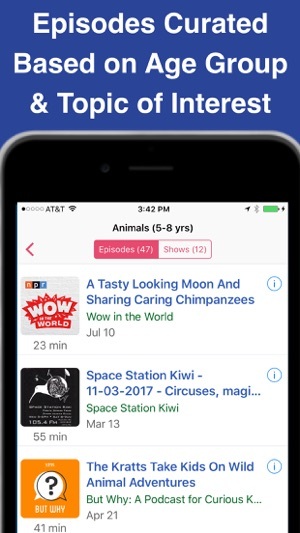 As a Podcaster, I am thrilled to see a reliable app that provides kids/parents with a great way to listen to and discover new content! My 4 year old loves the app especially all the stories. We need more apps like these. A must have! Super awesome! Thank you for your review!